After initially denying the New York Post’s report that the state’s Administration for Child Services had visited his apartment following the publication of some rather damning photos, Weiner told the New York Times on Thursday night that ACS had, in fact, contacted him—although he did not admit to a visit. In other words, things are going great! Weiner, if you’ll recall, was revealed to have traded sexts over a long period of time with yet another woman; this time, one of the photos he sent included his 4-year-old son, after which wife Huma Abedin promptly announced their separation. 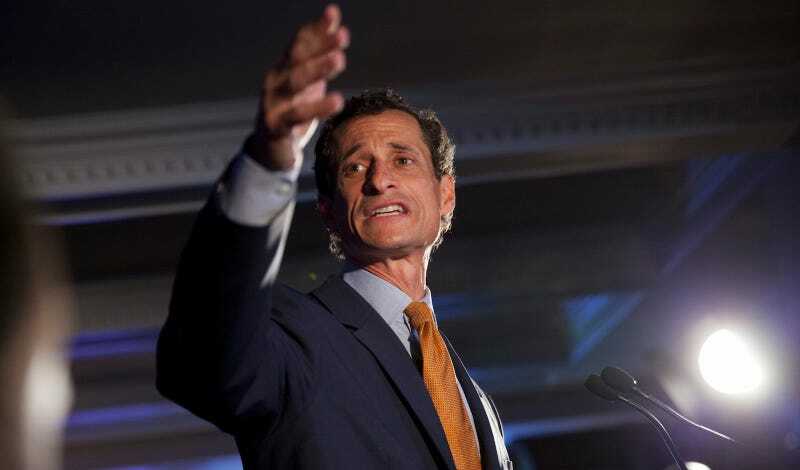 Though The New York Post reported on Wednesday that the child welfare agency had begun looking into the matter, citing anonymous sources, Mr. Weiner told The New York Times the same day that he had not yet been contacted. On Thursday, however, he said that the agency had left a bare-bones letter about the investigation at his mother’s house. It was unclear why the agency had sent a letter to his mother’s residence, rather than to him directly. He, too, seemed mystified: “Crazy if you ask me,” he said, adding that he had called the agency to learn more.